What is “The Brent Run”? Mark and I are proud to announce that we have launched a new site; Quick Escapes (www.quickescapes.ca). 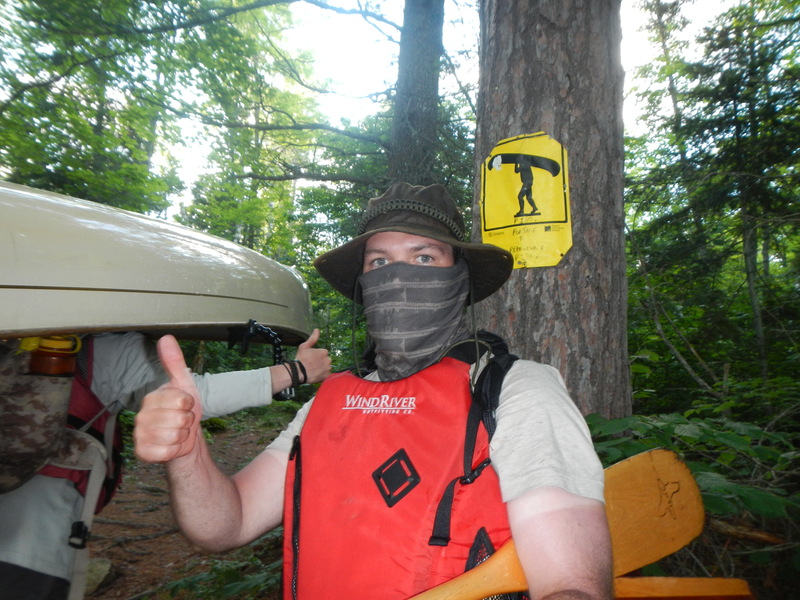 Quick Escapes is a cooperative of like-minded outdoor and adventure enthusiasts. We are not professional adventurers by any means, but we find that by sharing some (mis)adventures, we gained motivation to do more, and, subsequently lead to the creation of our website http://www.quickescapes.ca : A place where, ideas and experiences can be shared in turn fueling more adventures and ideas. We invite guest writers and adventurists to share your passion. Let’s see where this goes… Have an idea or adventure? Thanks to everyone who was patient while we put this video together. Mark gets all the credit for the editing and the hours that he spent putting this together. We hope that everyone enjoys this just as much as we enjoyed our 39 hour trip! As promised, we are diligently working to put together our Brent Run video. Unfortunately it is taking much longer than anticipated so Mark and I thought that we would throw together a quick teaser video. Enjoy! 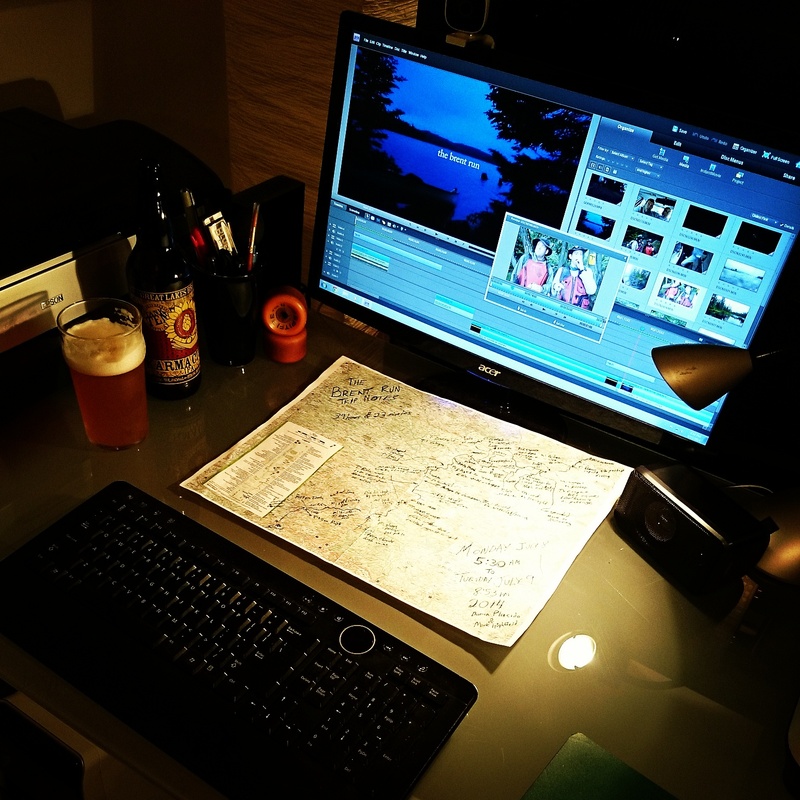 Mark is feverously working away on The Brent Run video. The shear volume of video that we took has been a little overwhelming, but I think that we are winning the battle. Again we appreciate your patience and we will have the video posted just as soon as we can. This is the route that we took as marked by the GPS. We have listed all of the lakes (lined up in the correct order along the sides) and the times that we reached them heading out and coming back to our base camp. Feel free to download so that you can zoom in to get all the details of the trip. We thought that this would be fun to share. 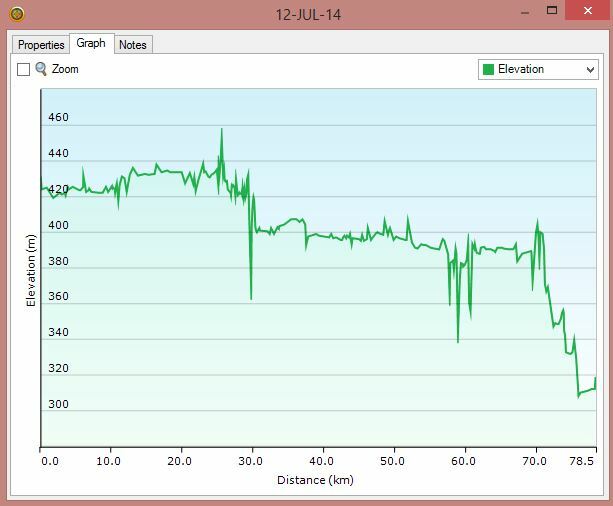 This was taken from the GPS and shows the elevation change from Canoe Lake out to Brent. I now know why the way back seems so much longer. 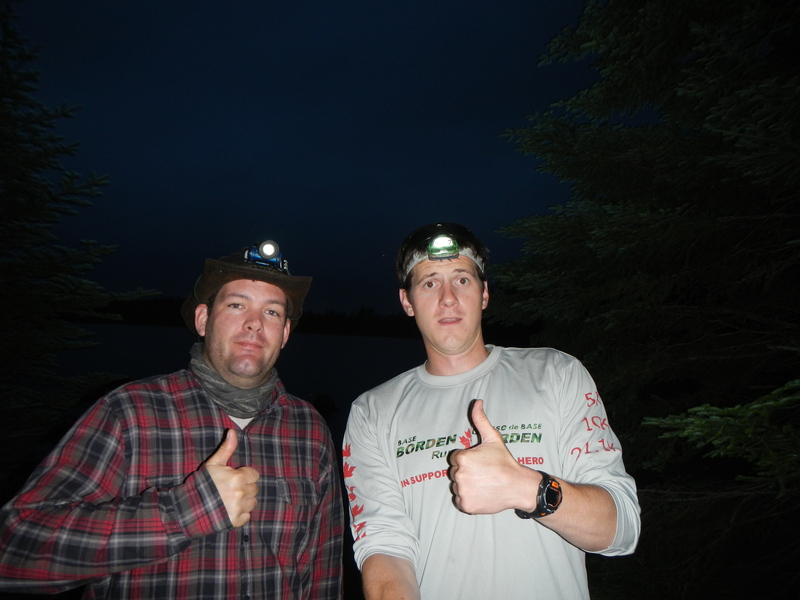 On Monday July 7th at 5:30am, Mark Highfield and I set out from our campsite on Joe Lake to conquer The Algonquin Park Brent Run. 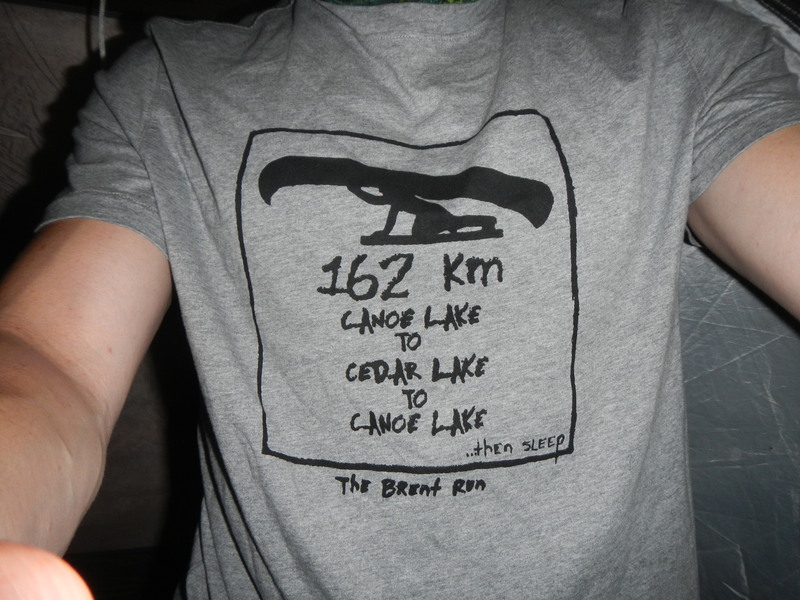 16 and a half hours later we found ourselves on the north shore of Cedar Lake at The Brent Store. 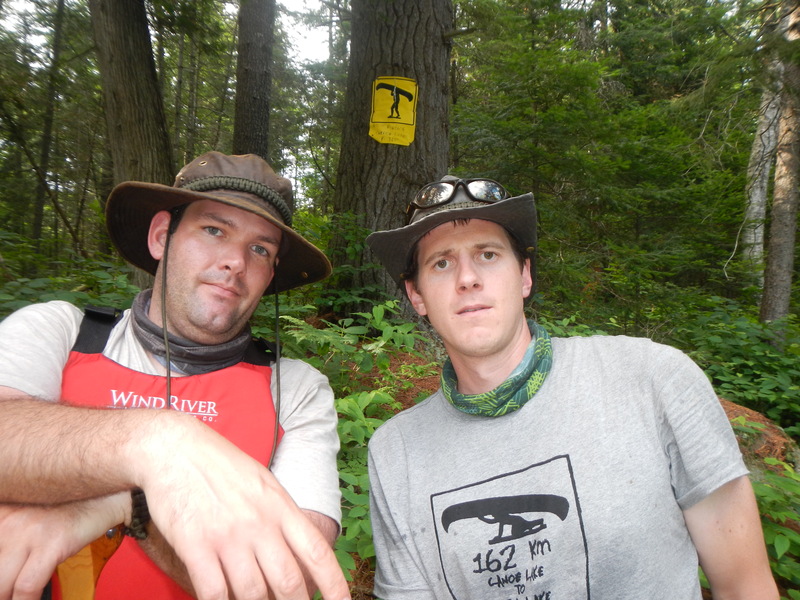 At 8:53pm on Tuesday July 8th, Mark and I landed at our campsite on the Shores of Joe Lake. 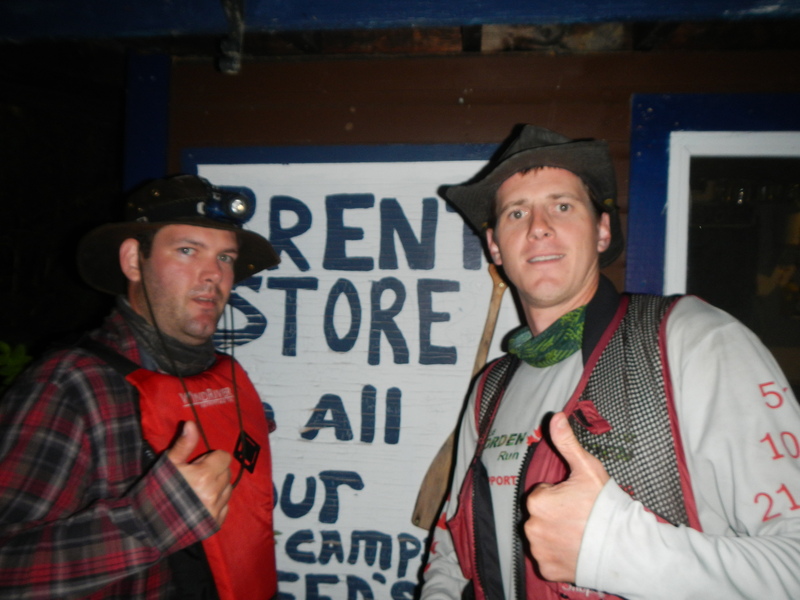 The round trip took us 39 hours through unfavourable winds, bug laden swamps and 10 hours of rain. Thanks to all of our supporters. We are happy to say that we collected nearly 10 hours of video footage documenting our trip. Thanks for your continued patience as we work through this footage and edit our adventure into a video to share with everyone. We have just arrived at the Brent Store on Cedar Lake. Thanks to some locals for showing us the way. 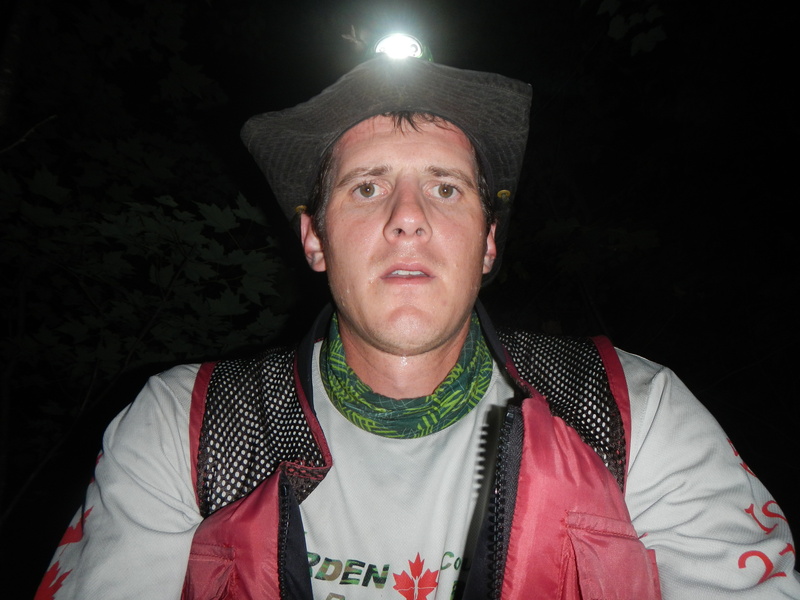 Travel by night requires a good quality headlight…unfortunately I didn’t have one! 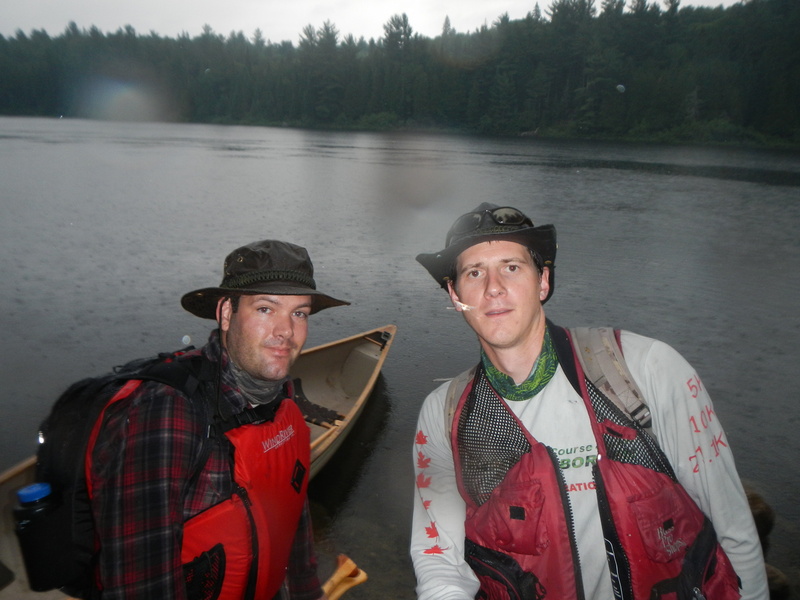 Mark and I were still in good spirits after 20plus hours of paddling. The story of this trip was rain. 5 hours to start The Run and 5 hours to finish it. Protection from the bugs was essential. Long sleeve shirts, pants, buffs and 2 bottles of Muskol…and the little buggers still got us. 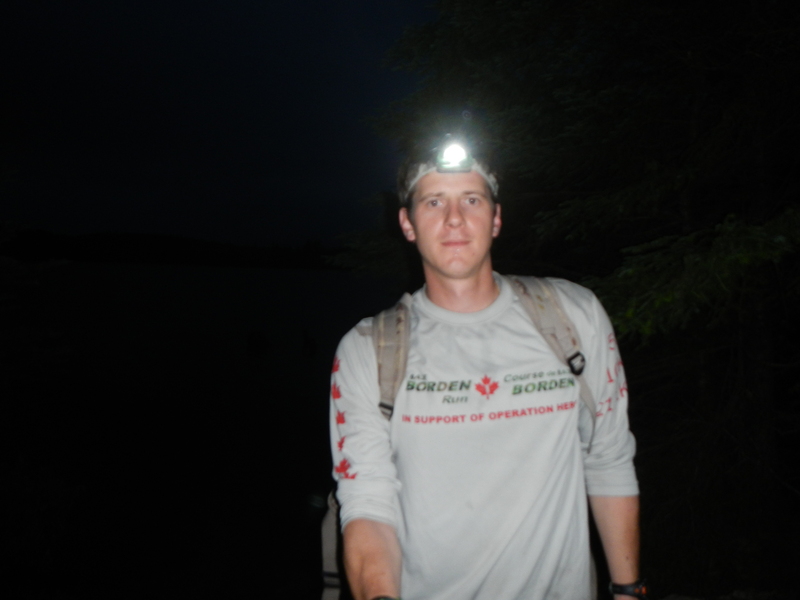 Starting The Big One, a 2340m portage from Narrowbag Lake to The Petawawa River. 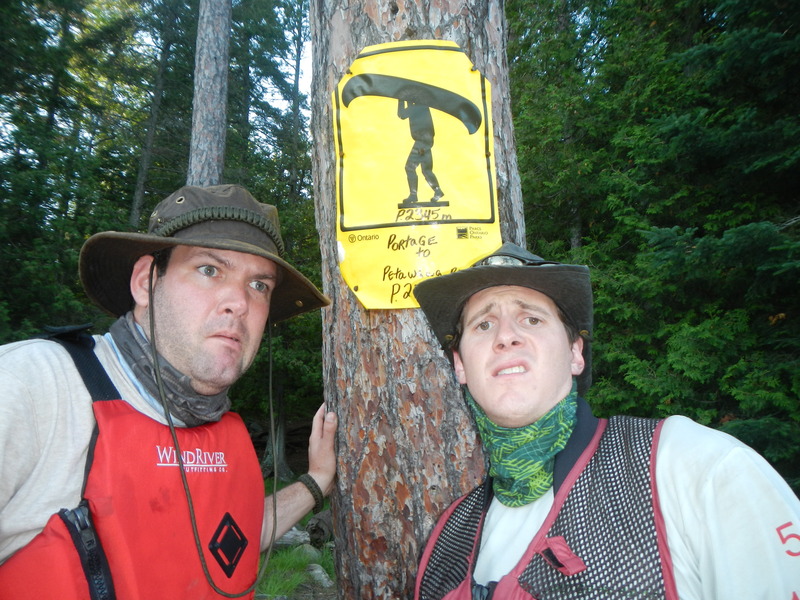 This was snapped after the 2350m portage. I felt worse than I looked. Mark is either suffering from a case of Brent Run Delirium or he is actually enjoying this. 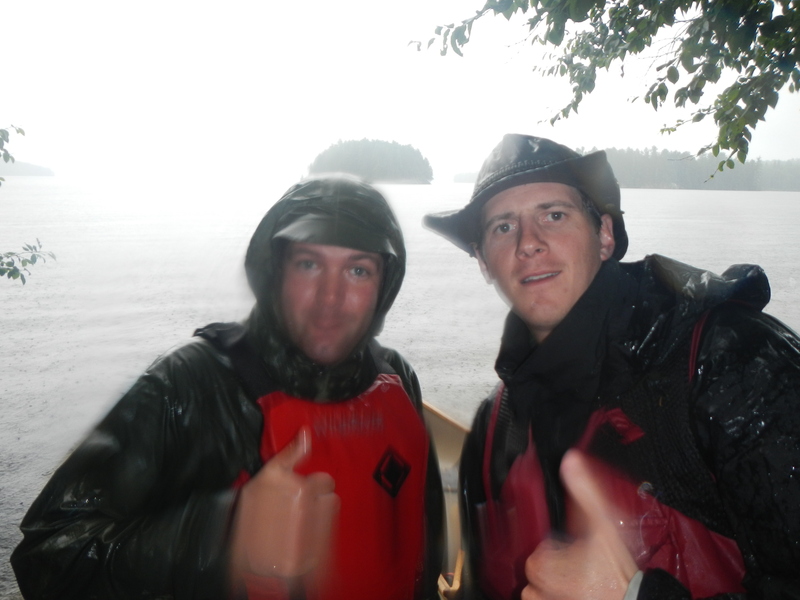 Mark and I caught in a down pour heading from Longer Lake to Big Trout Lake. 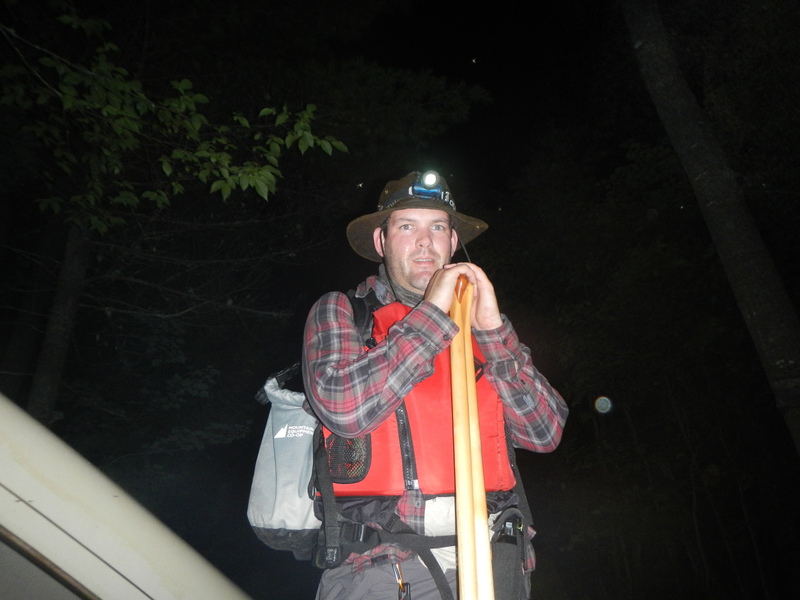 What better way to spend your time than paddling some of the waterways of this great country. We will hoist a pint in everyone’s honour. In addition to the news that we now have the domain name www.brentrun.me we have also completed some additional work on the “Prep” Page. 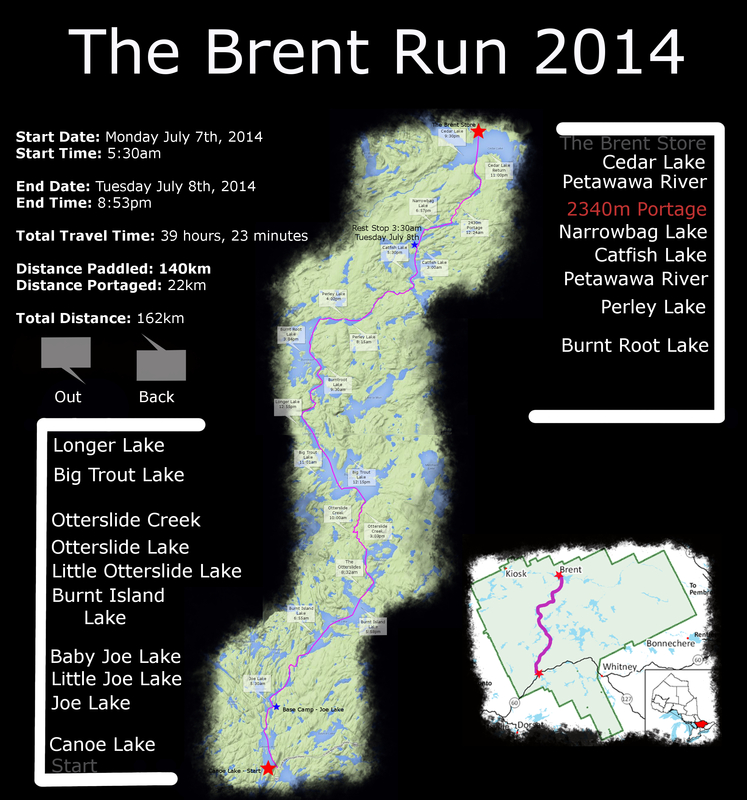 This new information will provide some details on our planning for The Brent Run. 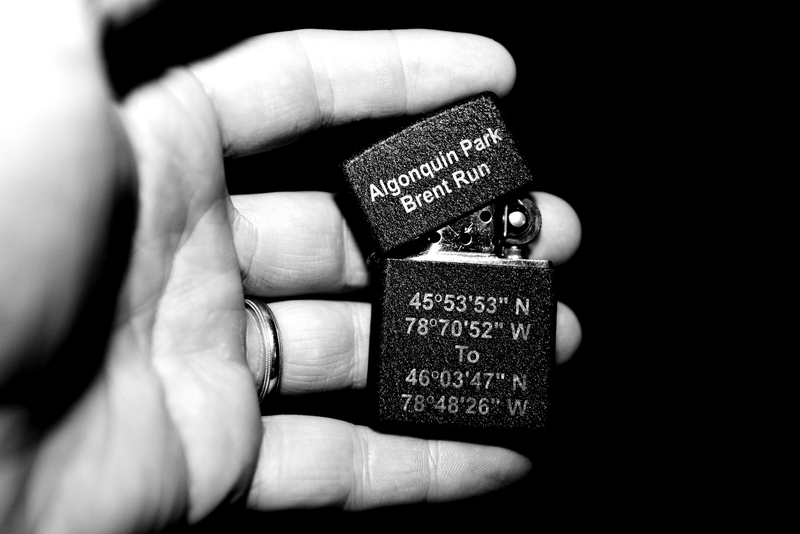 Check it out and if there are any veteran Brent Runners out there, please provide your feedback on our plan.